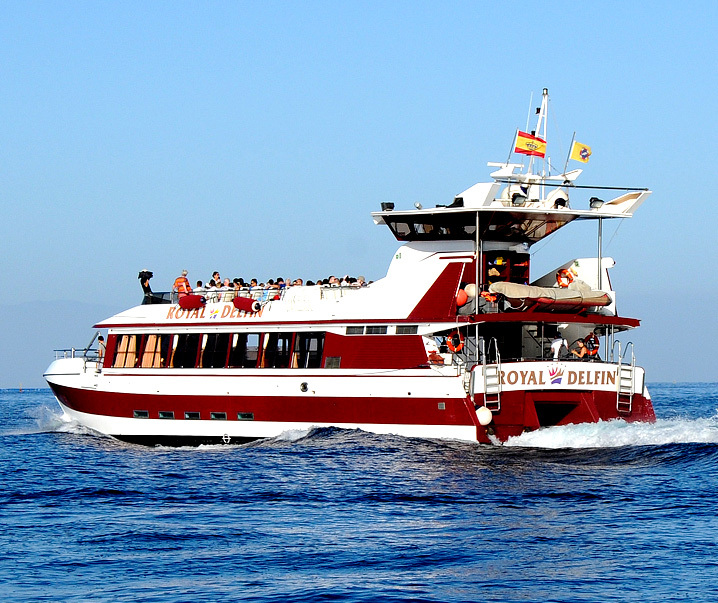 The dolphin watching excursion by Royal Delfin is the ideal option for who wants to embark on a boat in Southern Tenerife and spot plenty of dolphins. This morning trip takes you along the coast of the island, at around two or four nautical miles from shore, so you can experience a close encounter with dolphins, or pilot whales, as both belongs to the same family of cetaceans. 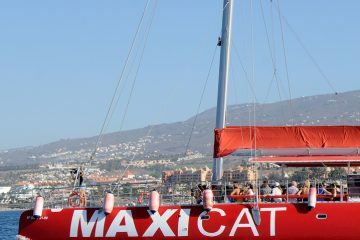 The hugeness of the boat and its two floors, where you can spend your time during the trip, are quite impressive. The first floor not only allows you closer dolphin contact, but it is also the ideal spot for enjoying a wonderful sea bath, when indicated by the crew. Please make sure to remain patient and quiet at any moment, so you don’t scare the dolphins and fully enjoy this unique experience among them. Dolphins are naturally popping up all around us, so just be attentive, and you will be able to get very close to them. 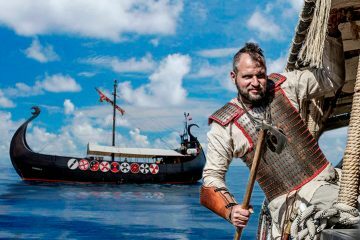 After the dolphins encounter, feel free to climb down the boat ladder and enjoy, during the break, a fortifying sea bath and/or lunch. In short, the dolphin watching excursion by Royal Delfin is a highly-recommended experience and a must-do in the island; plus, it is necessary to mention the great atmosphere there is on the boat, between the instructors and the fellow travellers, encouraging you to return shortly. 3-hour morning or afternoon trip from Las Américas to Playa Blanca / Diego Hernandez (on Wednesdays and Saturdays), which includes drinks and meals. Sea bath possible. 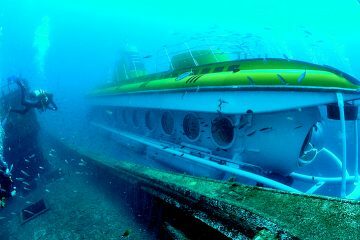 4,5-hour trip from Las Américas to Los Gigantes / Bahía de Masca on Tuesdays, Fridays and Sundays (morning or afternoon). Drinks and meals are included. Sea bath possible. Remember to bring hat, sun cream and appropriate footwear. DURATION From 2 to 4.5 hours according to what option you choose. FREE food and drinks for 3-hours and 4.5 hours trips.